Water-based finish penetrative products, such as Aquadecks, are typically seen as the most environmentally-friendly products to use to protect your wood cladding. One of the main benefits of using Aquadecks to protect your wood cladding from warping, splitting and cracking is that, unlike other products, it can be applied to your new wood cladding without having to use Seasonite and waiting a year for your wood to weather. Aquadecks can be applied to both new and weathered wood and if applied correctly will not peel or flake. It’s a great choice if you want to accentuate the natural look of your wood cladding. 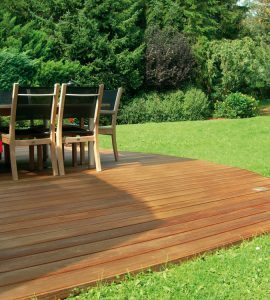 It works by saturating, penetrating and stabilizing the wood, to minimize any damage and results in a long-lasting, weather-resistant finish. To apply Aquadecks to your wood cladding, you can use a brush, roller or airless sprayer. As Aquadecks is applied wet-on-wet, it is very quick and easy to apply. If your wood cladding is new, you will need to remove any trace of mill graze (which can prevent Aquadecks penetrating your wood cladding) by applying Aquanett, a solvent-free, quick-working wood oil remover. If your wood is already weathered, you should clean your wood with Net-Trol. Make sure your wood is dry before applying Aquadecks (this can take around 48 hours after Net-Trol application). Mix Aquadecks thoroughly before and during application. Working from top to bottom, in the direction of the grain, liberally apply your first coat of Aquadecks with a brush, roller or airless sprayer. Leave for 15-20 minutes (or when your first coat starts to lose its wet look) and then apply a second coat. If your wood cladding is particularly porous, you may need to apply a third coat after another 15-20 minutes. 20 minutes after applying your final coat, brush out any ‘puddles’ where Aquadecks hasn’t been absorbed. Aquadecks is meant to be a penetrative product, so none should ‘sit’ on the surface of your wood cladding. If you choose to spray Aquadecks onto your cladding, always brush or roll back to improve penetration, coverage and uniformity of color. As Aquadecks should be applied wet-on-wet, it should not be allowed to dry in-between coats. This means that, in practice, you should work in sections on your wood cladding that you can complete in around 15 minutes, so that you can go back and re-coat before your wood cladding is able to dry. Maintenance is simple when using a water-based penetrative product such as Aquadecks – just clean with Net-Trol to remove any built up dirt and apply a maintenance coat, as needed. No sanding or stripping required! If you’re looking for a water-based, semi-transparent matte finish that will enhance the natural beauty of your wood cladding, rather than covering it, Aquadecks is a good choice. 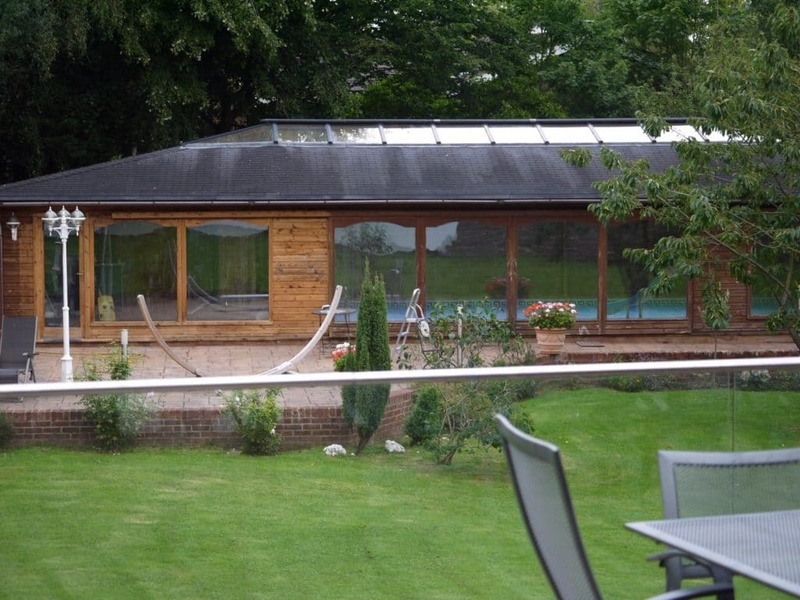 It also provides advanced UV protection, to prevent your wood cladding from fading. For added longevity and protection, especially if you live in a harsh environment (such as where there is intense heat and UV exposure, or particularly rough weather), Tropitech is a good ‘all in one’ water-based, semi-transparent finish, which will help your wood cladding to resist moisture, rot and decay. 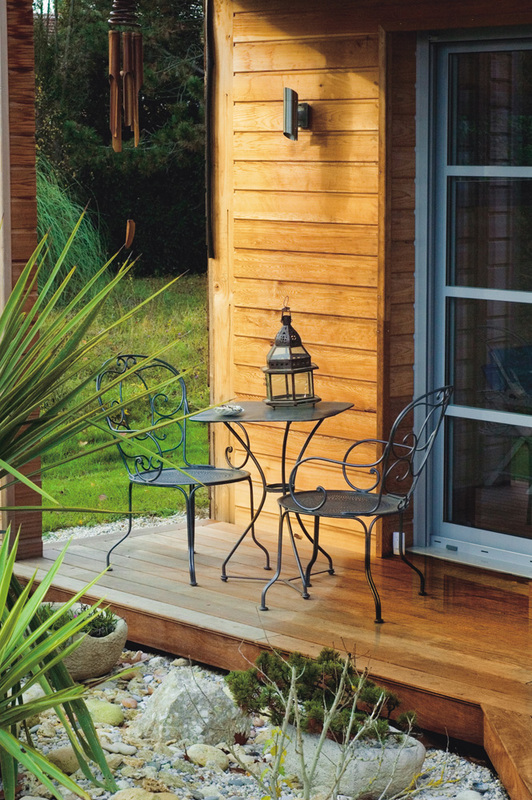 Tropitech also contains a fungicide that resists mildew and as Tropitech delivers long-lasting protection against UV damage, it effectively slows down your wood cladding’s ageing process. Tropitech bonds both ‘in’ and ‘on’ the wood and serves not only to protect your wood cladding but also to enhance it.